CARS24 is on a mission to revolutionize the used car market in India, one car at a time. 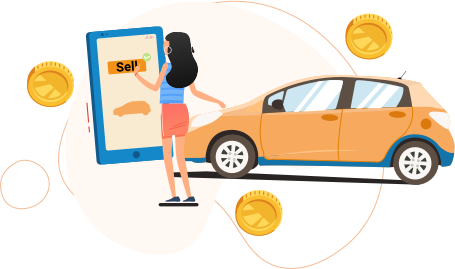 With the use of technology and cutting-edge pricing algorithm, we are able to give the right price of a used car. Car Depreciation is the decrease in value of a car with time. However, it is important to know that your car’s actual worth depends on the current market demand; what buyers are ready to pay for it, And its perceived value; cars with a reputation for being more reliable tend to keep their value better than others. For instance, a 4 year old Fiat Punto will have a lesser resale value than a 4 year old Maruti Swift. Calculating a car’s value by comparing with the similar make/model listing on classifieds is a big mistake as most of the rates that a seller posts online are basically wishful prices Don’t we increase the expected price of a product by 30-35% while selling it online so that we can leverage it during price negotiation? Hence, the price that you see online for a similar car is not the real value! IDV is not the current market value of your car. When buying a new car, people go for the maximum IDV an insurer can offer because IDV is derived from showroom price minus depreciation. However, when selling your car, the price depends on your car’s actual condition and the resale value of the brand. For instance, depreciation of a 5 months old car is 5% but you cannot expect to sell a car for Rs 9.5 lakh you purchased 5 months ago for Rs 10 lakhs. Priced from as low as thirty thousand to thirty lac, we buy hundreds of cars every day, and thus know the exact price at which the car was sold and repurchased. 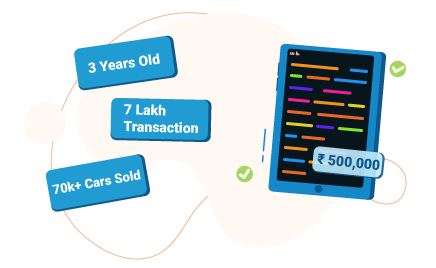 With thousands of channel partners across India And with the experience of buying more than a lac of cars till date, our pricing algorithm is devised based on the real market demand of the car. the price at which your car will actually be sold. CARS24, in my experinece, is the most convenient way of selling a used car!